There will be a design review meeting regarding the 9076 Holman Rd NW site, Monday, Oct. 22, 6:30 p.m. at the Ballard High School Library. 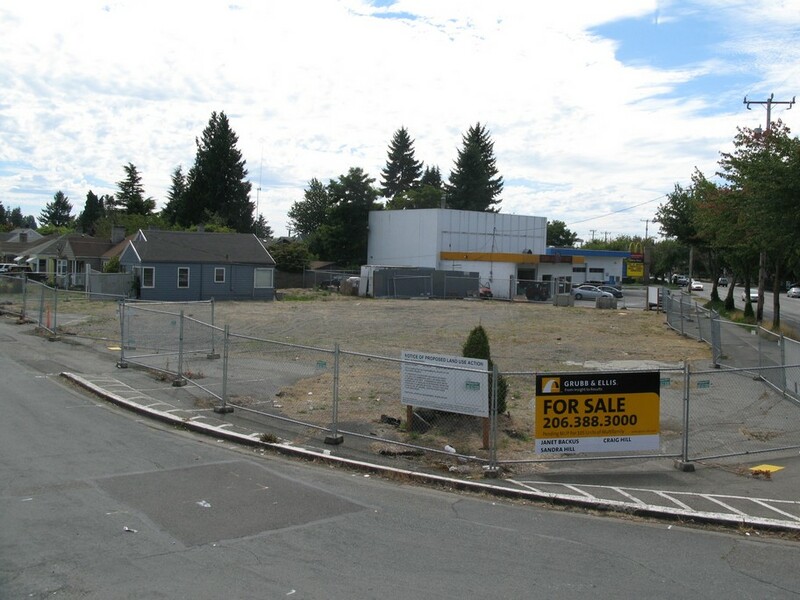 The proposed development spans from 13th Ave NW to 14th Ave NW along the South side of Holman Road. 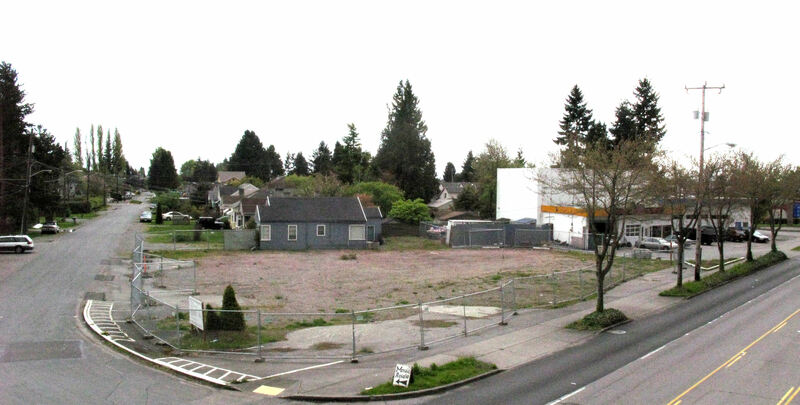 The lot owners previously demolished the Union 76 station and Mini-Market adjacent to 13th Ave. Queen Anne Auto Body is still open for business on the Western portion of the site. We recently reported the developers had applied for a MUP (Master Use Permit) to begin construction. The Department of Planning and Development issues an MUP when the project has passed through the Design Review phase(s) and a SEPA (State Environmental Policy Act) review for environmental impacts. DPD has not yet issued the MUP because they have asked for plan corrections prior to issuance. 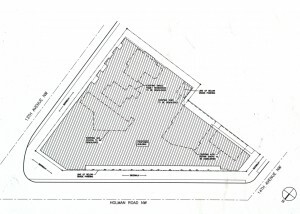 The developers of the scheduled 9076 Holman Road project are applying for a Master Use Permit for their project. Over 30 neighborhood residents attended the Early Design Guidance hearings for the project in 2007 and 2008. Concerns were expressed about design elements, the facade facing Holman, parking, driveways, traffic, noise, etc. Many of those concerns were incorporated into the instructions to the developer from the guidance committee, and addressed in subsequent iterations of the proposal. The project received a go-ahead to apply for a Master Use Permit at the second EDG meeting. In the picture above, the grey house, the house behind it, and the white building (currently Queen Anne Auto Body) are all scheduled for demolition. The project will extend from 13th to 14th, fronting along Holman Road.